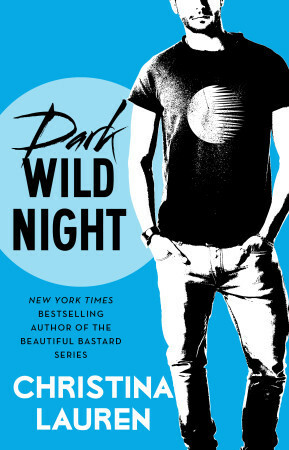 Dark Wild Night is book three in the Wild Seasons series. This was probably the most anticipated book for me, I really wanted to see Lola and Oliver's story. They're both geeky, which I connect with. Lola makes graphic novels, and Oliver runs a comic shop. They got married in Vegas back in book one, as did their other friends. They got an annulment and remained friends ever since. The duo is pretty much BFFs, always relying on each other. I could tell there were feelings on both sides, so I was a bit confused on why they never spoke their mind and just dated. I will say this does give a more realistic feel to the story, though since that happens in real life. Lola finally comes to her senses when she realizes that she has feelings and can't hide them or her intrigue in Oliver anymore. Their relationship is going great until Lola is swamped with multiple projects and trying to juggle the tasks and coming up short. She's never missed a deadline before but since dating Oliver she's missed not one, but two deadlines. She kind of retreats and shoves away Oliver which really frustrated me. I will say she and her friend both state when Lola gets in a relationship it tends to end when it gets serious. She has emotional issues from being abandoned by her mother at a young age so that didn't help. It just frustrated me while reading and affected me enjoying the book fully like I did with the others in this series. Don't get me wrong, I did enjoy this book, but just not quite as much as the previous two in the series. I loved seeing the other couples from the previous books since they are all BFFs. I also enjoyed it when Lola and Oliver finally got together and the realistic relationship bits. I think if you're a fan of the series you'll more than likely enjoy this installment. Overall, this series is pretty great, I love CLauren's work, they're a pretty great writing team. I'm wondering if I'm just being a b**** lately lmao I've been like this on several books. Ah well. Having made it to book 3 is a good thing. I tried this author once and didn't care too much for the title I read, but I have been thinking about trying her out again especially since so many love her work. I've *loved* quite a few of hers, but the past few I've read I gave 3-3.5 stars. They're still good, just not as good as before. This was definitely my least favorite in the series. Sometimes I think the more you anticipate, the more it lets you down. I've read some pretty okay books that I felt very disappointed in because I was so excited for the book/story. I hope the next one is better for you. I've yet to try this series.